Alcatel OneTouch has recently announced the new Alcatel Idol 4 series smartphone at MWC 2016. It is a successor to its earlier model Alcatel Idol 3. The phone is yet to be launched somewhere in the middle of this year. The specification and price had already been leaked out. Are you curious to have a glimpse at them? With the arrival of 2016, Alcatel is ready with their set of two upcoming smartphones among which the smaller one would be named as the OneTouch Idol 4. No, it isn't following its predecessor that had a 4.7-inch display with a resolution of 720 by 1280 pixels, rather the OneTouch Idol 4 is sporting a 5.2-inch display which is going to run at a resolution of 1080 by 1920 pixels. It is a single SIM GSM smartphone that fits a Nano-SIM. The Idol 4 would appear as a sleek, metal and glass case phone that is available in four Color options, which they call as Gold, Rose Gold, Metal Silver and Dark Gray. With a measurement of 147.00 x 72.50 x 7.10 in height, width and thickness it is a lightweight phone that weighs around 135.00 grams. The 5.2-inch display screen of the phone shines bright and clear, though it is only a IPS and a Full HD one. The Idol 4 is replacing its earlier model right from its entry-level Snapdragon 410 chipset with a powerful Snapdragon 617 SoC. It is a chip that consists of four ARM Cortex-A53 cores that are clocked at 1.7GHz and the other four additional A53 cores would be clocked at 1.2GHz. The SoC would be given a support of either a 2 or 3GB of RAM, which would change according to the versions, and would also contain a much more high grade processing power in comparison to what was there found on the OneTouch Idol 3 model. When things are getting upgraded, we all would expect the same with the performance and quality of the camera. So here they have tried the best to meet our expectations with a 13MP primary camera, and a secondary shooter of 8MP. So you can shoot all you want with the latest Alcatel model Idol 4 which is going to give a professional touch to your selfies. If you think that the camera has not got all that you wanted, you should know that it was swift to take a picture and had a decent level of detail for a phone of this price which most probably would cost around 280$ when it would get released. The Idol 4 is backed with a 16GB of storage capacity, which can be expanded up to 512GB through a microSD card. Running an Android 6.0, the Alcatel Idol 4 model is powered by a 2610mAh non removable battery. The Connectivity options of this model are Wi-Fi, Bluetooth, GPS, NFC, FM. It supports 4G network. The Sensors that are packed in the phone are Ambient light sensor, Proximity sensor, Accelerometer, and Gyroscope. 1. The Speakers:There are four way speakers in the phone, in which you get options like pointing it forward and backward and at the top and at the bottom. The speakers are tuned by the famous audio brand JBL which has got an impressive sound quality to offer and whether kept face down or held in the hand while watching a movie, the sound quality does not vary. 2. The VR Headset:With the phone you get a VR headset and with several downloadable VR contents directly from the official OneTouch VR Store. 3. Auto Fit Option:Continuing the trend of its earlier model Idol 3, with Idol 4 too you can use the phone both the ways vertically up and horizontal and the screen would adjust its flip to fit your way. Moreover, this model allows you to double tap the screen in order to wake it up so that you won't have to hesitate for tapping the power key which would be placed under the thumb knuckle when you hold the phone upside down. 4. Boom KeyThe Boom Key of this phone performs a wide range of functions, starting right from displaying a weather animation that appears on the home screen. It also enhances the audio level while you play the music, and can create a wonderful collage of the photos which are stored in the gallery. The phone wears a slim, sleek and sophisticated design. The size and the shape appears to be quite handy and manageable. The 4 way speakers would be an added advantage of the phone and a boon for music lovers. The phone has only one SIM option, which is nowadays a little bit off the road. The Processor is of a mid-range which cannot promise too high end performance. The battery life is also of average standard. Before the release, it is hard to predict and make out a verdict on the phone. But looking at the specifications declared by the Alcatel, the earliest prediction or an early verdict can definitely chalk out a few things. 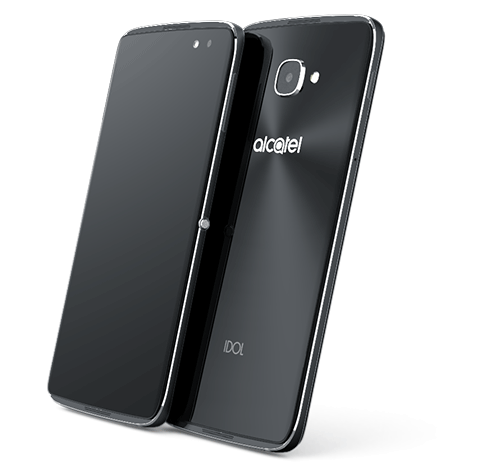 Alcatel as a brand has won hearts of many across the globe, so the latest twin products they launch would necessarily be the talk of the town in the coming days. The price that they are going to label to the products are definitely to catch the mass who are not much willing to spend a lump sum on their handsets. 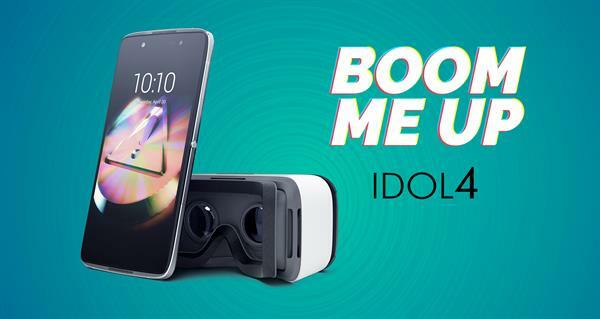 The Idol 4 model is undoubtedly going to catch their attention and attract a good number of consumers.